Dynamic customized charting. Advanced zoom and pan. 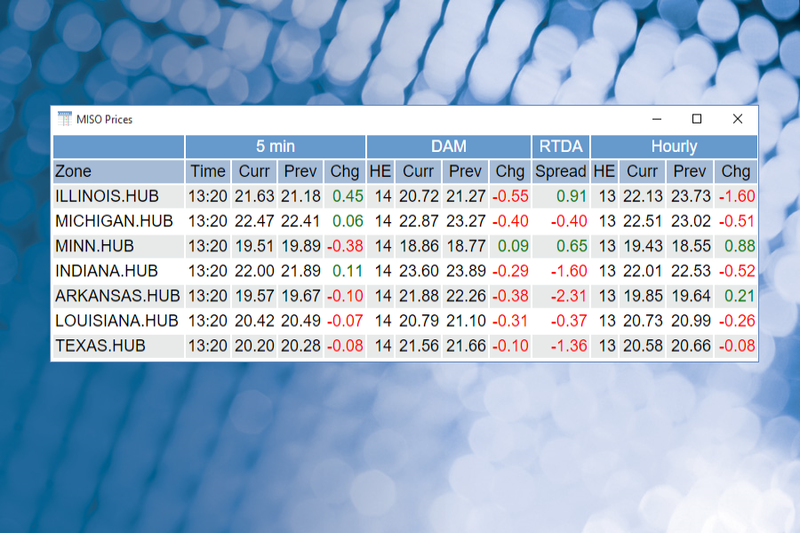 Nodal price maps for ERCOT, CAISO, PJM, NYISO, ISONE, MISO and SPP. New Group extracts feature allow quick downloading of all pricing nodes for nodal markets. Notification: get email notification when extracts succeed or fail. Excel Add-ins and Macros can now be extracted on multiple sheets in the same workbook. Zoom into your custom stream views, see where they are used. Views are organized under Master Streams so you always know what you are looking at. Simplified ALERT settings. Rate of change alerts on any stream whether it’s running in a chart or not. Show last values on the legend. Instant readout of mouse position with time and value. Preconfigured shared Dashboards for each region which will show up in the Master Dashboard folder. Master dashboards represent content tailored by experts in each region, but feel free to change them to meet your needs. They are preconfigured to fit on a 1920 X 1080 screen. To share within your company, Right click on a Dashboard, Chart or Panel and click Share. The object will then show up in everyone’s Shared folder. You cannot change Shared objects unless you own them, however all objects can be Copied if you need to change them. Monitor market fundamentals in complex nodal markets through maps. Playback any period in time. 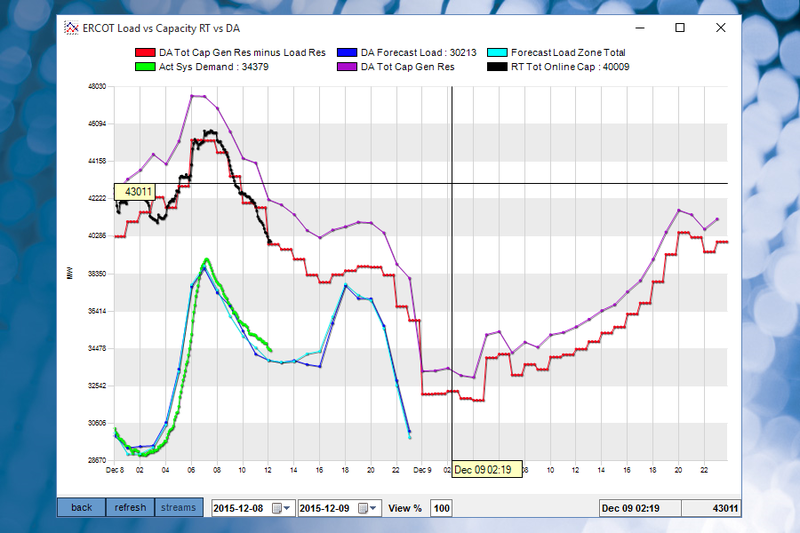 Visualize nodal prices, loads, transmission flows and outages. 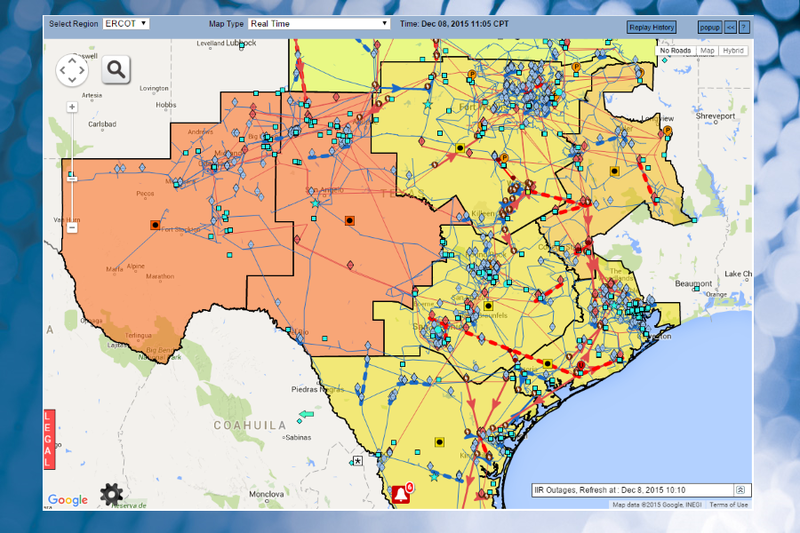 Search for nodal prices, loads, transmission flows and outages and view your results on our map. Turn on or turn off any layer on the map. Real time constraint and contingency alerts on map. 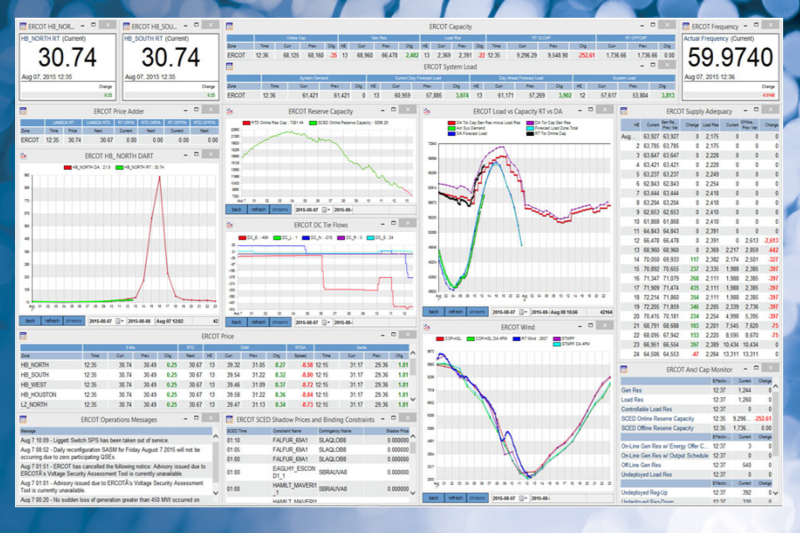 Create custom real-time Charts for a graphic representation of your market intelligence. Charts can be created from any combination of available streams in any region. Click through to the stream details on the legend. Change the range of the chart directly from the chart. Add and remove streams directly from the chart. 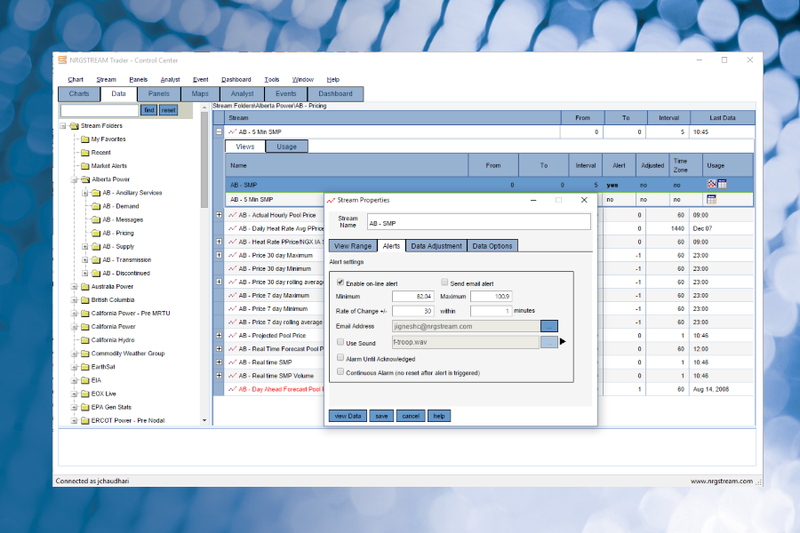 Each region now has a number of preconfigured panels which have been used extensively in the Dashboards. Choose, ‘New Panel’, ‘Regional Panel’ to create your own. Select the Regional Panel from the dropdown, click Save and you are done. If you need to add nodes/streams to your panel, just start typing the node name, select the node and click Add. Supersized stream panels can now be configured for the visually impaired. Create a new Stream panel. Select your stream. Click the Supersize check box. Our Generation Database covers all plants in North America. 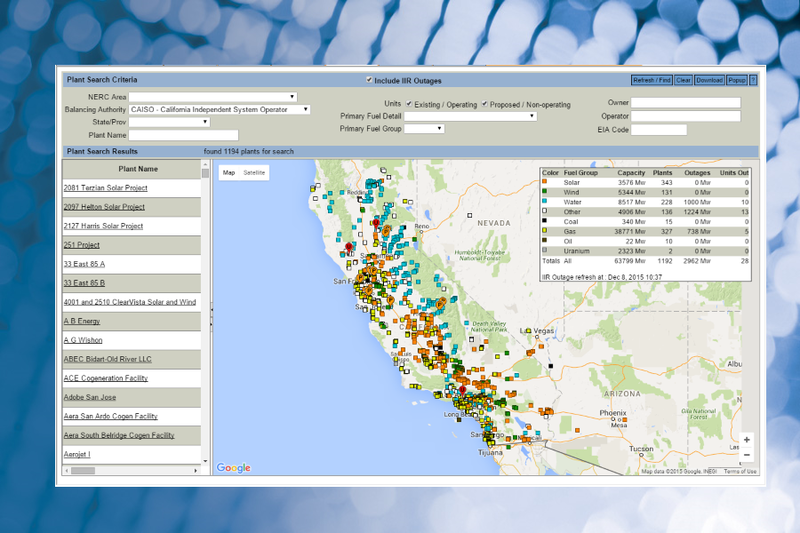 Search for any plant and view your results on our generation map. All plant and unit details are included. IIR customers can benefit from overlays representing outages.